To be able to stocktake an item, you need to have defined an SKU (Stock Keeping Unit) corresponding to the item. SKUs are manageable both via the web application and the mobile application (the latter is limited, though). After having logged in, move to the "Resources" expandable menu item on the left and select "SKUs". If the submenu is unexpanded as shown on the image above, click on it to expand and then select "SKUs". Volume - the total volume of the SKU. Currently STKTK does not support other than volume-based SKUs. Verified - shows that the SKU has been verified by STKTK. It is a future use column. Private - shows that the SKU is private. It is a future use column . Status - shows whether the SKU is official or not. It is a future use column. Actions - lists actions permissable for the user (update, delete). Export Data - enables you to export the table data (SKUs) in one of the following formats: XLSX, CSV, TXT. To be able to create an SKU, you need to be the "manager" or the "owner" when it comes to the role in your STKTK account. Click the "Create New SKU" button on the top left. A modal windows should appear. Volume - the total volume of the SKU. Currently STKTK does not support other than volume-based SKUs. On the right there is a dropdown list to specify the volume units. Currently only milliliters (ml) ale supported. To be able to provide data measured in different units (e.g. ounces), you need to convert the data accordingly. Bottle Weight (optional) - empty bottle weight (tare), without the cap. Currently only grams (g) are supported. To be able to provide data measured in different units (e.g. pounds), you need yo convert the data accordingly. 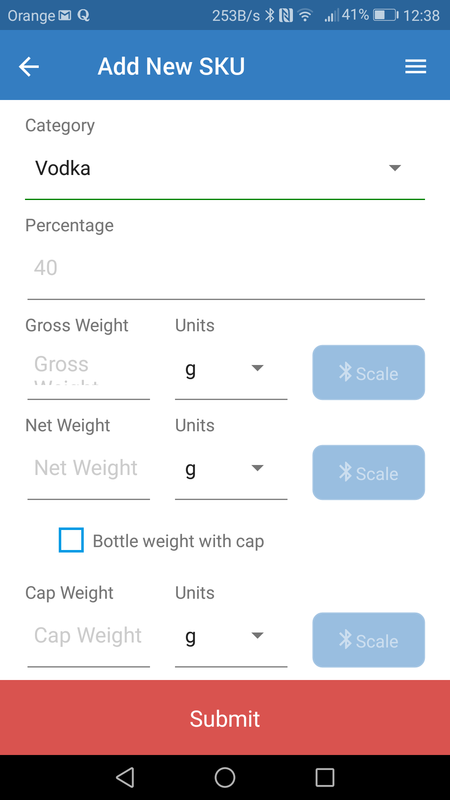 Gross Weight (optional) - full bottle weight, with the cap. Currently only grams (g) are supported. To be able to provide data measured in different units (e.g. pounds), you need yo convert the data accordingly. Cap Weight (optional) - the weight of the cap. Currently only grams (g) are supported. To be able to provide data measured in different units (e.g. pounds), you need yo convert the data accordingly. 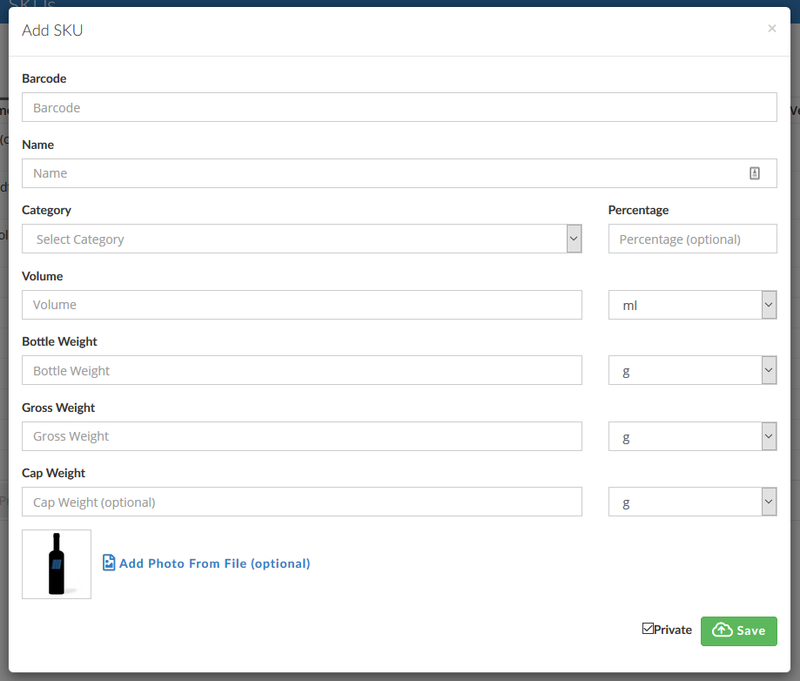 Additionally, you can upload a photo of the SKU by selecting the "Add Photo From File" button and then selecting the image on your computer (optional). It is important that you provide the most data possible. STKTK would be able then to choose the best possible algorithm to compute the volume out of the data given. After having filled in the neccessary properties, click the "Save" button. If any of the properties appears to have an invalid value, a validation error will appear underneath the input field. In such cases, review the values and click "Save" again. In case all the input fields were correctly validated, the modal windows should close and the new SKU entry should be added to the SKU table. By scanning a barcode that is not in our database or linked to your account. Caveat: the SKU has to have a barcode (UPC/EAN). 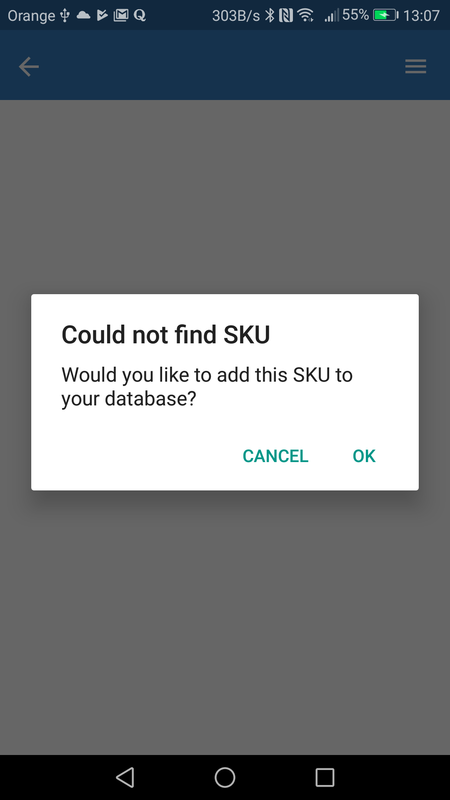 Bear in mind that managing SKUs using the mobile application is an auxiliary feature. We recommend using the web application. The awaiting stocktakes in specific bars would be enlisted at the top. 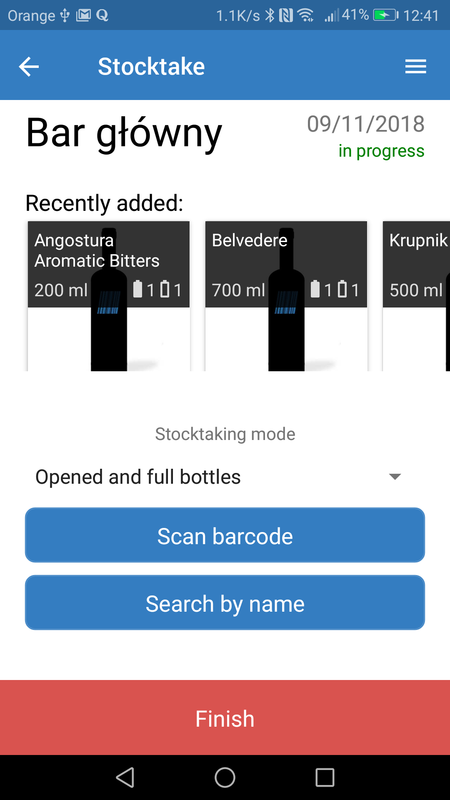 To start a stocktake, swipe through the list, select the one you are about to stocktake and tap the entry. 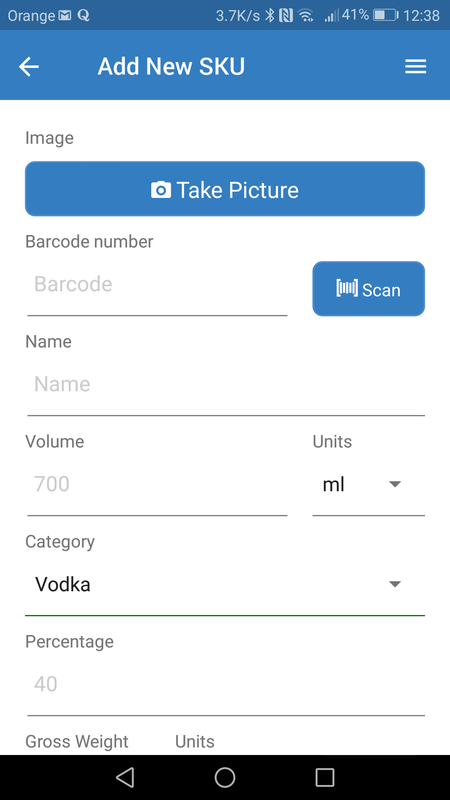 Tap the "Scan barcode" button and then scan the barcode of the SKU you want to be added. If the SKU does not appear in our database as official entry or linked to your account, a SKU creation menu will appear. Proceed to the "Creating SKU - mobile application" article. 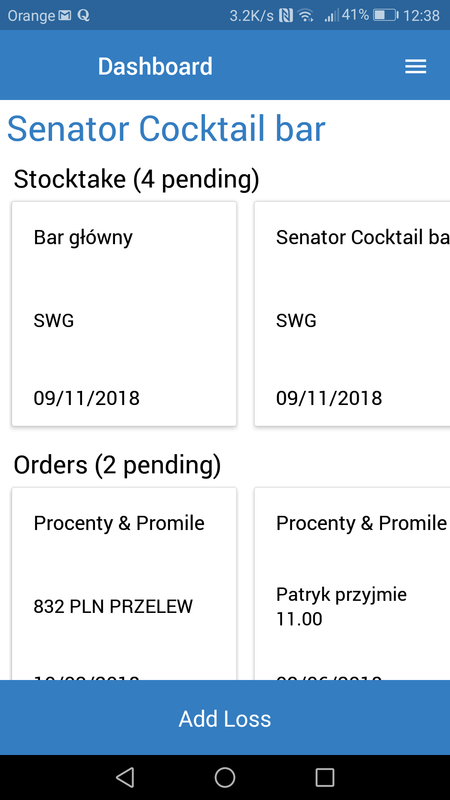 To be able to create an SKU within the menu, tap the menu item on the top right. 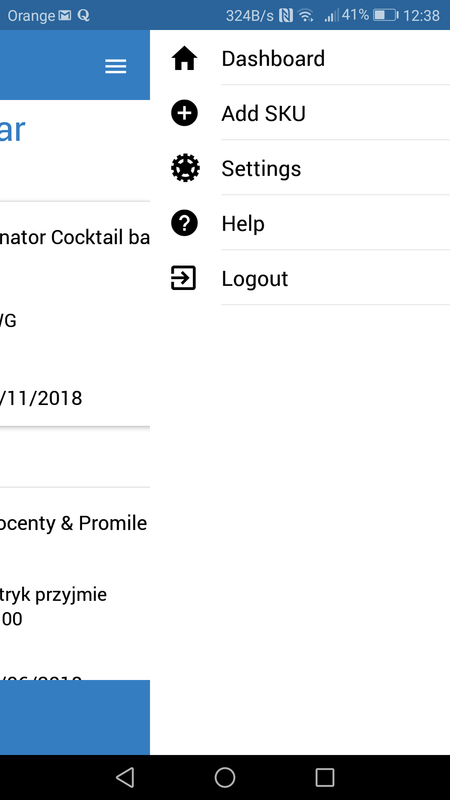 The following dropdown menu should appear. Simply tap "Add SKU" position and proceed to the "Creating SKU - mobile application" article. The same validation rules apply to the SKU properties as they do in the web application SKU creation. Using extreme values for the weight properties, like 1 or 99999. When using the former, every stocktake weight measurement could result in hundreds of items being reported. Such a quantity clearly indicates an error that should be reviewed. The latter could end in the opposite - nearly no quantities would be reported. Using same extreme values for the weight properties like 1 or 99999 (net weight, gross weight, empty cap weight). The extreme values would help you in the future to update the data, when STKTK introduces features enabling you to stocktake items in full quantities only, without the neccessity to type in weight data. The STKTK algorithm would result in an error as computing the volume when the bottle content weighs 0 grams (gross weight - net weight = 0) is impossbile. The system would then disable you from typing in the data that should not be there even if it is just a temporary workaround. 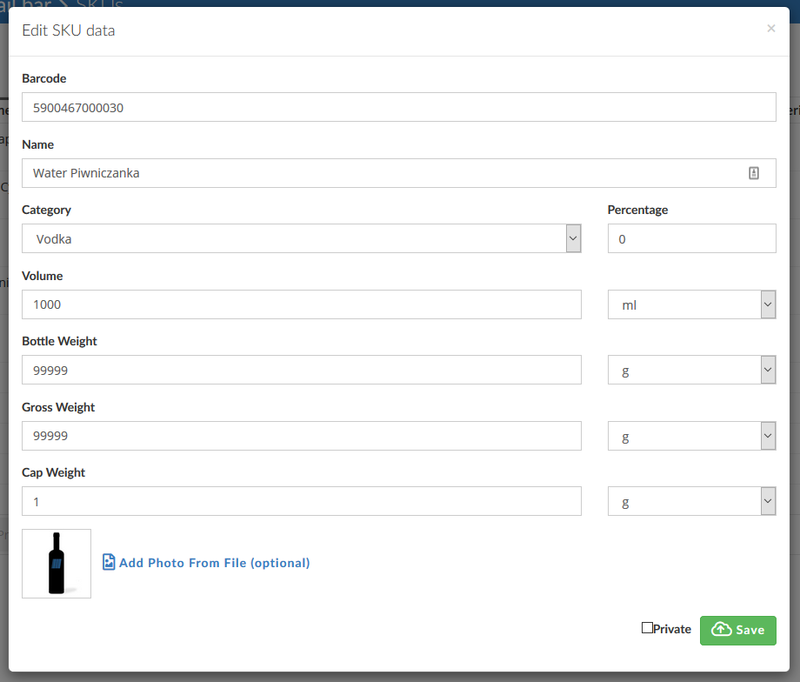 The suggested workaround numbers (net weight, gross weight) are shown in the picture below. NOTE: currently STKTK does not include cap weight in its computations. The cap weight property is designed for future use only.